Whether it’s a birthday, stag, stagette, team building, field trip, or just a group of friends looking for something to do, West Coast Flying Trapeze offers a unique experience that is fun, challenging, rewarding, and safe. $399 for the first 10 participants, and $25 for each additional person. 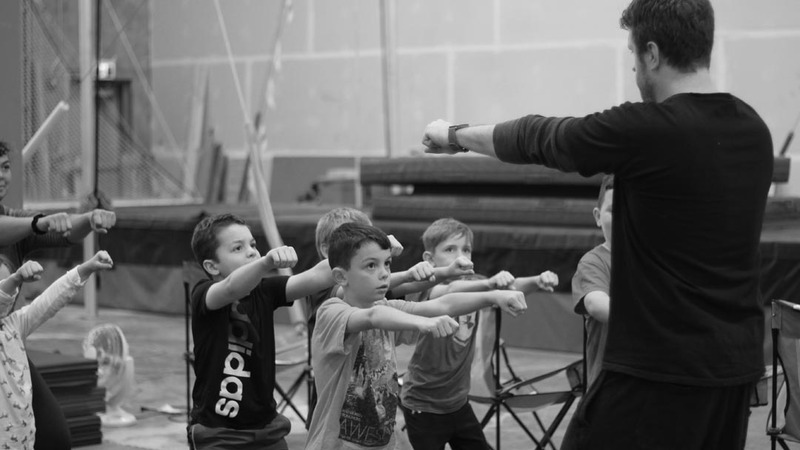 Flying trapeze parties start with a warm up and a stretch, followed by our “ground school” lesson. Then everyone is fitted with a safety harness, and the majority of the class is spent doing the flying trapeze. We finish flying trapeze parties with catching, where everyone who is ready is given the opportunity to do their trick and then be caught and swung by one of our instructors. $199 for the first 10 participants, and $15 for each additional person. Aerial and acrobatic parties also start with a warm-up, and then everyone will learn basic skills on the tissu (also called aerial fabric or silks), aerial hoop, and/or static trapeze. We’ll also do some juggling and stilt walking. $449 for the first 10 participants, and $25 for each additional person. Exactly what it sounds like – parties will be split into groups to try both flying trapeze and aerial/acrobatics. All participants get to try everything! Parties are available anytime we don’t have regular classes running; usually after 3:30 pm on weekends. The space is also available for rent after the circus portion of the party for food, cake, presents, etc. for $30/hour. For larger groups call us at 604-619-1212 or email wcftinfo@westcoastflyingtrapeze.com to schedule your event.